Hi everyone! I have decided to make a different deck guide as I came up with an idea which is adding Barnes to Jade Druid. Allow me to present your new best deck for laddering. If it gives you extra mana: Innervate, Wild Growth, Jade Blossom are cards that you actively want in basically every matchup. Against aggro you really want to see Wild Pyromancer in your hand, especially if you got a coin. If you already have Innervate you can keep Aya Blackpaw or Nourish. In control matchups you have a bit more freedom to keep some expensive heavy hitters, so feel free to keep cards like Aya Blackpaw in your hand if you are sure your opponent won't try to kill you on turn 5. You just need to tempo the game until your Jade Golems are stong enough while maintaining control of the board. You also need lots of draw (Gadgetzan Auctioneer with little spells, Nourish..). Jade Idol is the key! As the part advances, your Jade Golems will be bigger and bigger and give you the best late game. Overall the deck is extremely solid, and I fully recommend it. In case you liked this deck guide just let me know in any way, if I see that you guys enjoy these then I will do some more in the future. Also don't forget to follow me on social media to stay updated. Thanks Khristophesaurus for spending his time for my deck. Thanks TheSynch for spending his time for my deck. hi is this list still upto date are u still running innervate plz? I have just one Primordial Drake. What can be replacement? Fandral Staghelm or Second Wild Pyromancer are good replacements. But this is a old version deck so it is not strong as before. This deck is pretty trash, getting out ramped in jades by jade rogue and shaman..... should never happen. So I tried this deck out today and had a staggering 20% win ratio. Real great if you want to lose a lot. If you have trouble with playing jade druid, I can help you from spectating. Add me and I will tell you what plays that you are doing wrong. Thanks for the offer, but I think I know how to play. I just had to make some changes to your deck and things went better. I just added, you. I'd appreciate a spectate or two if you could find the time! Legend proof and he is playing mage :DDDDDDD So I can post any deck with legend in it if I made it to the legend. 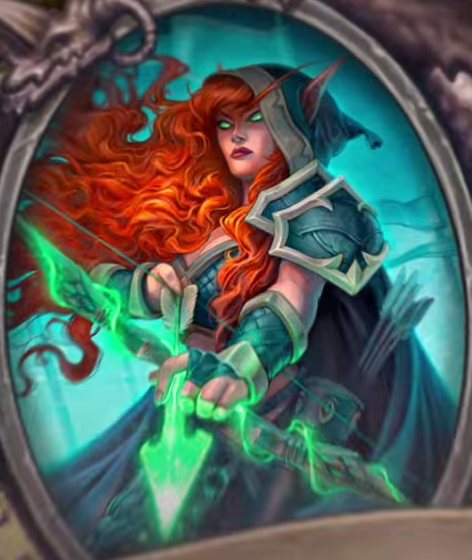 Barnes is realy nice card here ... and it's RNG decreases when deck thickens. This will allow to take one Taunt strategically (eg. if it's blocking lethal), remove insane buff (like those made by Priests) or ... silence a minion summoned by Barnes to give it base stats (unexpected DMG if opponent won't kill it on his turn for some reason - Aya maybe). Evolve shaman, aggro druid ... This type of decks are still viable and silence isnt enough for stopping them. However, Wild pyromancer is amazing card and very strong against aggro decks. Wild pyromancer is core card and you should put two of it. I'm torn between crafting Barnes or Fandral for this deck, I know that Barnes can pull super good cards as 1/1's but Fandral just has so much combo potential, which would you recommend? Does Barnes really win that many games?